The Registry of Co-operative Societies is responsible for the administration of the Co-operative Societies Act (Cap 62) and the Co-operative Societies Rules. It regulates and controls the activities of co-operative societies and protects the interests of members of the societies. The Singapore National Co-operative Federation (SNCF) was formed in Sep 1980 as the apex organisation for the co-operative movement. While the Registry of Co-operative Societies concentrates on regulating co-operatives, the responsibility of promoting co-operatives is delegated to SNCF which co-ordinates the activities of its affiliates, provides centralised services to its affiliates and represents the co-operative movement as its apex body at national and international levels. Its present services include co-operative education and training and promotion and development. 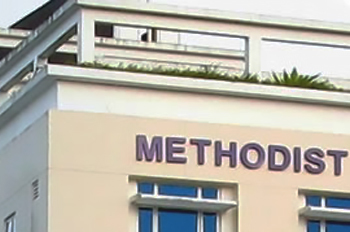 The Board of Directors is the governing body which is responsible for the management of the affairs of the Methodist Co-operative Society Ltd. The governance and constitution of the Society is determined by its By-Laws. The By-laws are supplementary to the provisions of the Co-operative Societies Act (Cap 62) or any amendment thereto for the time being in force in Singapore and the Co-operative Societies Rules or any rule made under the Act for the time being in force in Singapore. The Society is governed by the Act, the Rules and the By-laws read together. Nothing in the By-laws shall have any power to limit the authority of the Registrar. In the event that the By-laws are found to be in any way inconsistent with the provisions of the Act or the Rules, the Board shall propose amendments to the By-laws for the members to approve. No By-law or amendment to any By-law shall be valid until it has been approved by the General Meeting and has been registered by the Registrar. John 19:16 - "Then delivered he him therefore unto them to be crucified. And they took Jesus, and led him away."